Tagged Alternative Fuel, Cement Industry, co-firing, Europe, Germany, Kilns, Landfills, Municipal Wastewater, sewage, Sewage as Source of Energy, Sewage Sludge Management, sludge, Sludge Disposal, Solid Waste Management, Switzerland, Use of Sewage in Cement Production, Uses of Sewage Sludge. Bookmark the permalink. These Guidelines also stating, that wastes, which can be used as alternative Fuels have to be reviewed under the “end of pipe” proces; means, if wastes can be recycled, there first should be recycled and not used as fuel. To reclaim the phosphate from sewage sludge, various technologies are tested- but still under development and not yet described as Best available technology. It will take some years time, before phosphate recycling will be adapted in a large scale. Till now, e.g. in germany, around 53% of all sewage sludge ( around 1,2 mio tons dry substance) is used as fuel- in coal fired power plants or in cement Plants. This saves around 500.000 tons of coal ( coal CV 6200 kcal, dreied sewage sludge 3500 kcal). Drying- you are absolutely right- should be done and is currently done with available waste heat from the plants. However, we are always observing new technologies and evaluating, if these technologies can be implemented in our projects around the world. The effect of using sewage sludge with a phosphate content has a effecgt on the cement Quality. Investigations show that phosphate participates actively in the reactions during the clinker burning process. It displaces the limits of stability of individual phases. Phosphate reacts to form a C2S-C3P mixed crystal that exhibits continuous mixed crystal formation with ?-C2S. At P2O5 levels in the clinker of up to 1.0% the early strengths decrease due to the reduced content of alite and aluminate, only slightly at first but more sharply at higher levels of P2O5. On the other hand, the 28-day strengths increase somewhat at P2O5 levels of up to 1.0% – so no negative impact on the cement Quality. When we look at recycling we always have to see the development of recycling and reycling technologies with different views. 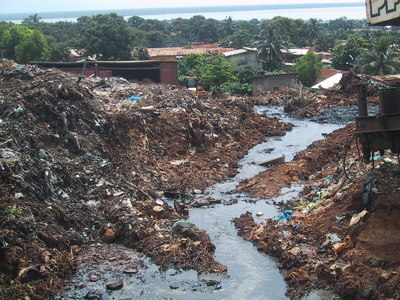 In high developed countries like in the Netherlands or Germany, were up to 50€/ ton of sewage sludge is paid for a safe disposal or recycling, you can implement expensive and highly developed technologies. But- unfortunately- in most of the countries in the world, either there is no environmental friendly solution- means the sludge is even not seperated and the waste water is polluting rivers and the sea- or it is just landfilled or dumped somewhere. Nobody is paying – and able- to pay for sophisticated recycling. I think we agree on the possibilities and limitations of using sewage sludge in cement kilns. I also fully agree that you should take into account the local situation. There is one solution for every situation. With respect to mercury: most sludge will contain 1-3 ppm of mercury and that is the reason that co-firing of sewage sludge in power plants is not allowed in The Netherlands. Also special mercury limits are in force for the (only) cement kiln in The Netherlands. The problem is that the mercury is so diluted in the huge gasvolumes that it is difficult to detect. Also there is a problem of a level playing field as dedicated sewage sludge or MSW incinerators have to meet lower mercury limits (as well as NOx, SOx and dioxin-limits). Recovery of phosphate is still evolving but it’s application will increase in the future and can be of special importance for developping countries as nutrient deficiency is especially an issue in these countries. Some interesting developments for phosphate removal of sewage sludge before incineration are being developped at Wetsus (www.wetsus.nl), where I lead a research theme on phosphate recovery.